In honor of my anniversary (tomorrow), I wanted to share some (of the thousands) of the things that make my husband the incredible man that he is. One. Back before we started dating, we were just friends. I was going through a rough patch in life and Rory was the friend that I needed and never expected to have. I had some cancerous cells brewing in my cervix and had to have two surgeries to have them removed. There were talks of the possibility of never having children and what we would need to do if we couldn't get it cut out. I was an emotional wreck at work and in life. Rory was the shoulder that I needed. The friend to vent to....even the gruesome details. A friend like that is hard to come by. Let alone a lifelong partner. Two. Rory loves football almost as much as he loves me. Maybe even more. Ha. Before dating Rory, we (my coworkers and I) always gave Rory a hard time about how passionate he was about football. He will record a college game that he has seen in person and watch it several times because there is always something he missed. College football is like a movie he can watch over and over again. He was so passionate about defending Coach Ault (who created the pistol formation that is used in the NFL) and the Nevada Wolf Pack. He has gotten in twitter wars over it. Yes my husband is that guy and I love it about him. 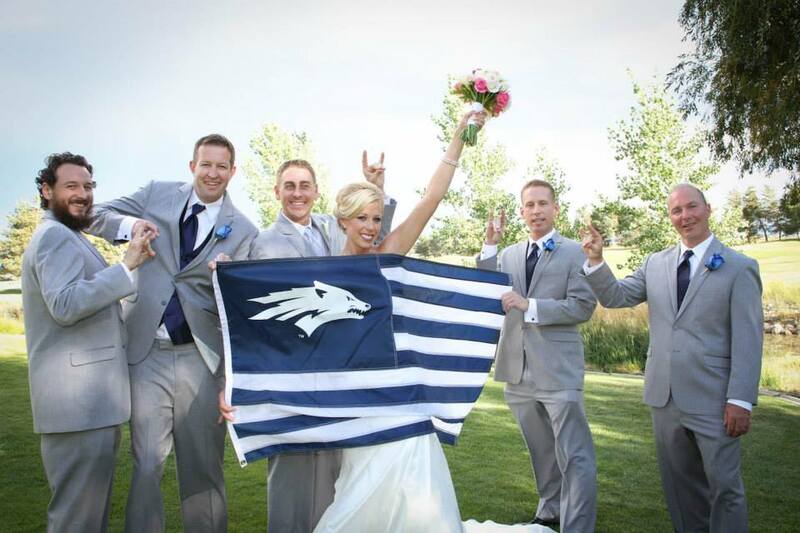 We had to have a picture of the Wolf Pack flag at our wedding. And our wedding colors are silver and blue which happen to be Nevada Wolf Pack colors. Three. Rory is so passionate about the things he believes in. He will fight til the end for what he believes in. He has been teaching me to be more like that. No one is going to defend and stand up for our girls right now except us and feelings aside, I need to fight for them. Four. The goofy songs he makes up about me, the girls and more often than not, Walter. Yes, we are that couple that sings songs about the loves in our lives. Rory comes up with the best songs too. Five. Rory is the best dancer. Seriously. The best. He can out dance most people and I absolutely love it. At least one of us can dance. As a child, Rory was big into hip hop and break dancing. I love when his mom busts out photos of him busting his moves as a child. 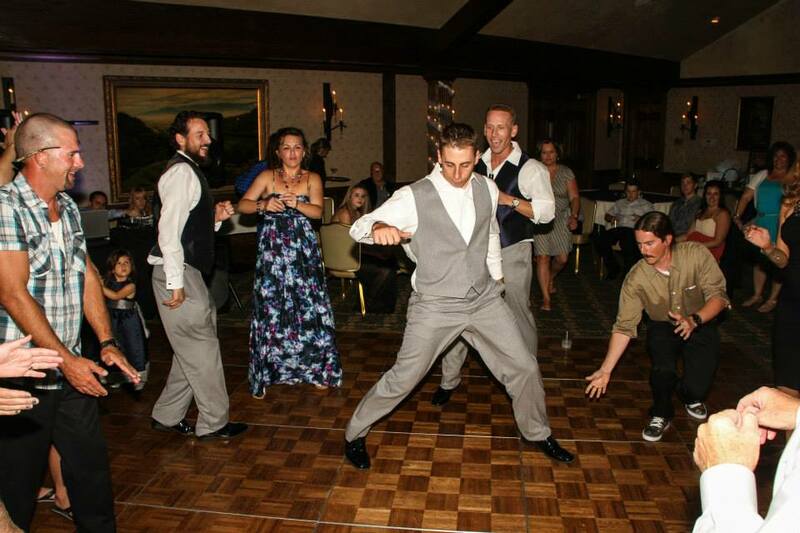 Rory and two of his groomsmen break dancing at our wedding. Six. He helped me create the most beautiful and intelligent baby girls. Did you know that identical twins are not genetic? Identical twins come from the males gene as it is the sperm that determines if the egg splits. 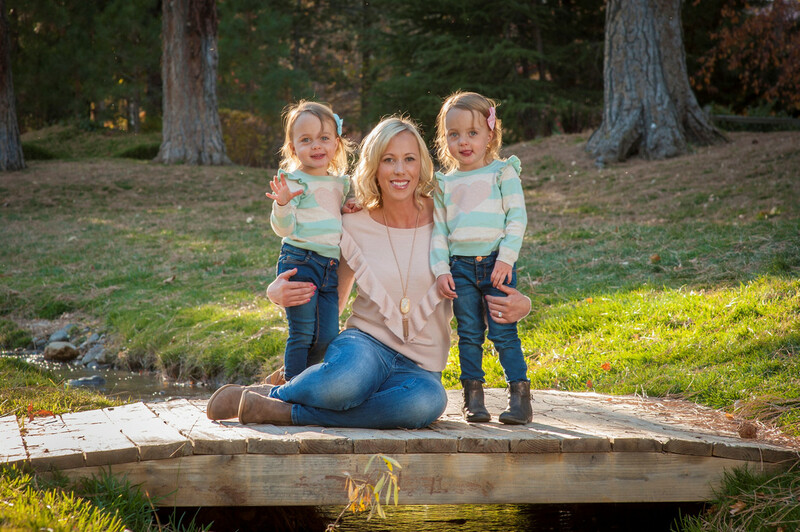 Fraternal twins run on my side of the family, but the girls were all due to my husband. Seven. And speaking of babies, he is an amazing father to our girls. He changes their diapers without a second thought, he gets them dressed almost every morning and he loves those girls more than he loves anything in this world. He is incredible. Eight. He is so intelligent. He may be a procrastinator, but he can articulate his thoughts so well. Whenever I am at a loss for words (which doesn't happen often), he knows just what to say and how to say it so well. He is not only book smart, but street smart. He is the whole smarty pants package. Nine. He is very athletic and is always keeping me on my toes. We have taken more hikes than I can count. We get a snowboarding pass every year and he is always encouraging me to go to the gym when I don't want to. He loves yoga, but plays a pretty mean game of basketball. He is very active. Sometimes too active. Ha. Ten. 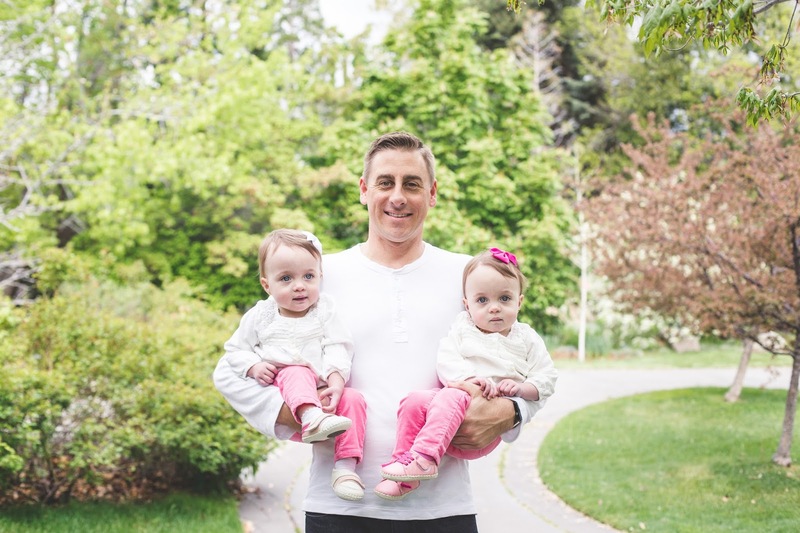 My studly husband's doppelgangers are a mix of Aaron Rodgers and Alex Smith. He has even mistaken for them. I got lucky in the handsome department. I could go on and on because I won the lottery with this one. So happy Anniversary to my partner in crime, my best friend, my companion, my travel buddy, my love, my baby daddy and the love of my life. You complete me. Happy Anniversary. What a sweet post! What a sweet post and guy....you are the cutest! Happy Anniversary to you! Happy anniversary! You are an adorable couple. Such a sweet post! Y'all are perfect for each other! I hope you have the best anniversary! Awe I love this post! I need to do something like this about Mike! Happy Anniversary! What a sweet post! He sure does seem like a great guy! You two are lucky to have eachother. Happy Anniversary! what a sweet post! Happy Anniversary girl! Thank you very much! I love being mushy every so often! Happy Anniversary! Love the post. ahhh - I love LOVE & when people brag about those that they LOVE. Thumbs up for a dancer. I love when a guy can dance. Most are too 'cool' to even bother with it. You two are just the cutest little couple! Aw, Danielle, I love this post so much! I enjoyed learning more about Rory. 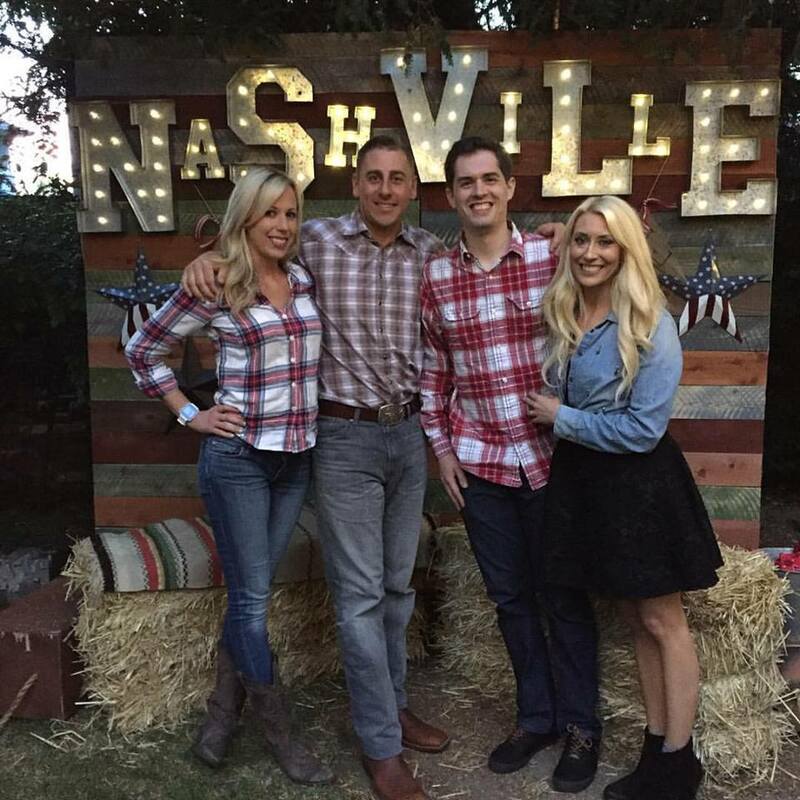 And I was cracking up about the football colors at your wedding... our wedding was red and black for Georgia football. Lol. Happy anniversary, you two! I hope you enjoy many more! Aww this is so, so sweet. I didn't realize that is how you all met. It is truly the people who know the "whole" you and can be your friend no matter what that make the best life-long partners. I love seeing people who are best friends and truly in love. Happy Anniversary to the two of you. Aww! Happy Anniversary! I love how you guys were friends first. Such a sweet love! all the heart eyes for this post. Aw what a sweet post! Y'all sound so happy and made for each other. Happy Anniversary and I wish you many many more! So beautiful! Happy Anniversary tomorrow!! He IS an Alex Smith/Aaron Rogers lookalike! Happy almost anni to you! What a sweet, sweet post, Danielle! I love this! Rory sounds like a fabulous dad and husband! Happy anniversary!!! The dancing/making up songs/athletic/basketball-playing/football-loving (though NFL, not college) sound just like Michael! Ha! What a sweet post! And I had no idea identical twins were not genetic!